I’m pretty sure the guy next to Clint Dempsey won’t be in the starting XI for the 6:30 p.m. game on Fox Sports 1, however. The initiative marks the first time an MLS club has altered its jerseys for any match mid-season, as well as the first time Sounders FC has worn anything other than Rave Green jerseys for an MLS regular season home fixture. 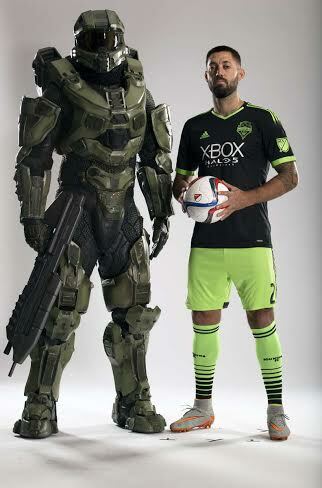 The new Halo 5: Guardians-inspired jerseys utilize Sounders FC’s Pitch Black third kits. During warmups, Sounders FC players are also wearing limited edition pre-match training tops, custom-made with Sounders FC and Halo 5: Guardians branding. Sunday’s match is the only opportunity that fans have to buy this one-of-a-kind jersey, as a limited supply of 200 are available for purchase at the CenturyLink Field Pro Shop. For more information on the infographic, including the methodology behind the rankings, visit the GoEuro website. 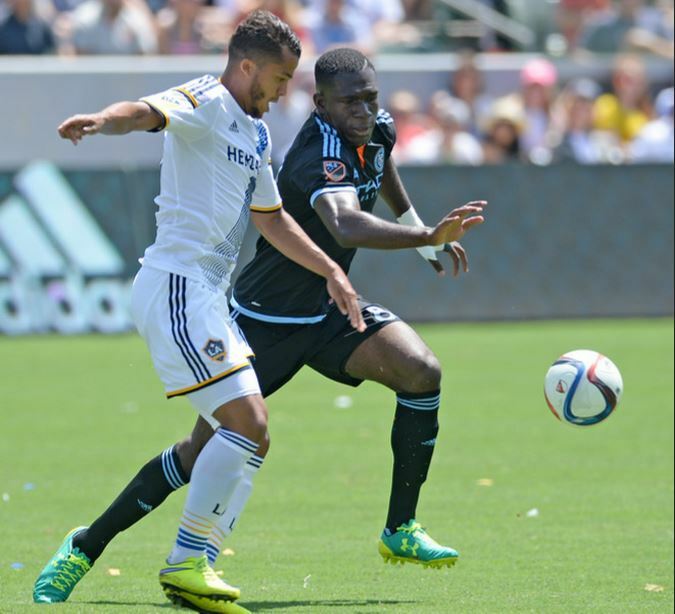 The Galaxy ended their scoring drought in a 3-2 win over FC Dallas on Sunday at StubHub Center. 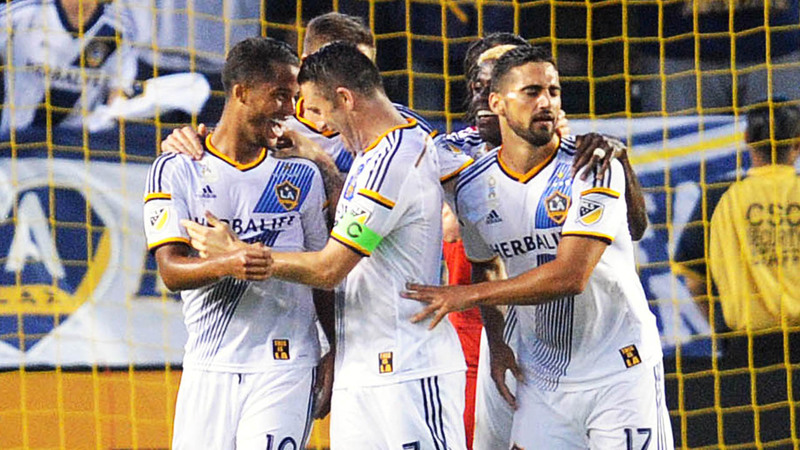 The team is now back on top of the table in both the Western Conference and the Supporters Shield race. The team is on a four-game winless streak, having not won since the star-studded affair that was the 5-1 drubbing of New York City FC. The Galaxy have four games remaining in the regular season, with all four games against current play-off bound teams. 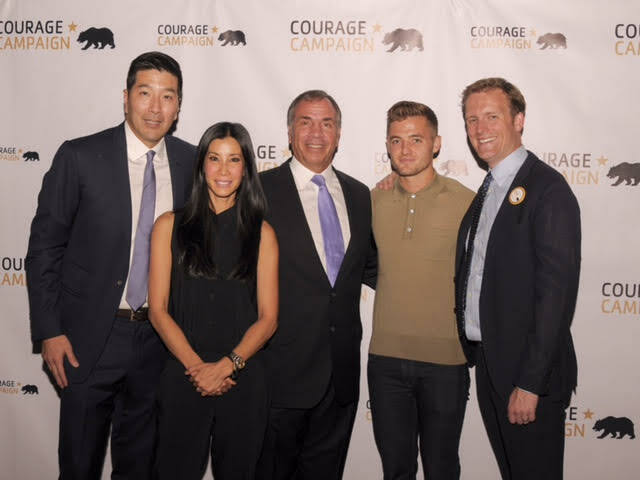 Spirited: From left to right, Courage Campaign board chairman Paul Song, CNN journalist Lisa Ling, Bruce Arena, Robbie Rogers and Courage Campaign executive director Eddie Kurtz are pictured at Thursday night’s Spirit of Courage awards. Galaxy coach Bruce Arena was recognized with a Spirit of Courage award Thursday in downtown Los Angeles. The award is given to Californians who exemplify courage in the fight for a more fair and just society. When Bruce hired Robbie Rogers in 2013, he became the first coach in any major league U.S. men’s sport to hire an openly gay athlete. LA Galaxy mid-fielder Robbie Rogers will speak and present the award. Before winning an MLS Championship with the Galaxy, Robbie represented the U.S. in the 2008 Olympics. In 2013, he launched “Beyond It,” an anti-discrimination campaign. His biography, Coming Out to Play, was published last November. 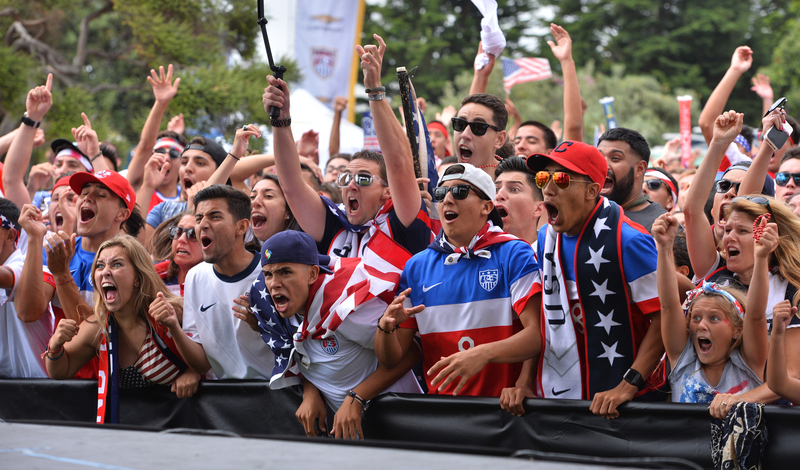 In less than a week, the United States and Mexico will trim down their provisional rosters for the Oct. 10 showdown between the two federations at the Rose Bowl. After he was left off the team for two international friendlies earlier in the month, dos Santos is hopeful he can make the cut when rosters are trimmed Oct. 1. 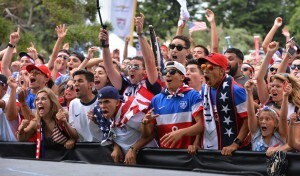 If you weren’t lucky enough to win the ticket lottery for Oct. 10’s United States vs. Mexico CONCACAF Cup matchup in the Rose Bowl (or if you would rather not pony up several hundred dollars for tickets), 200 movie theaters across the nation have partnered with Fox Sports 1 to show the game live. Two theaters in the South Bay, two in Long Beach and two in Los Angeles will be showing the game on Oct. 10 at 6:30 p.m.
Click here for a full list of theaters. Tickets went on sale Friday online, but it seems as if the online server is having some trouble displaying showtimes, so calling your local theater to confirm is probably the safest bet right now. After provisional rosters were released earlier this month, both teams will cut their lineups down to 23 players on Oct. 1. 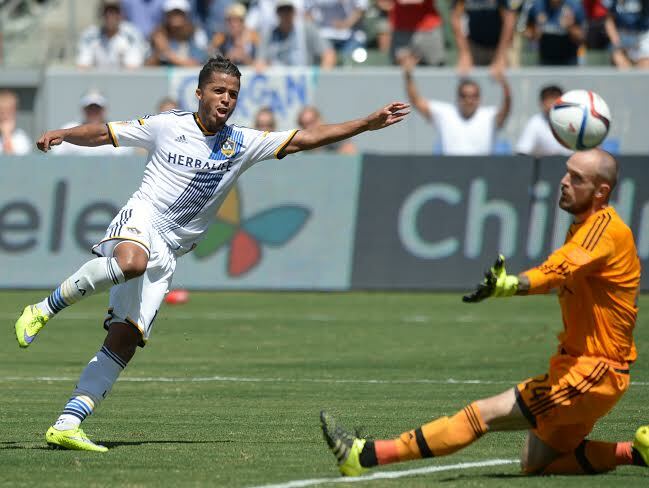 The LA Galaxy have four players on the provisional rosters: Giovani dos Santos for Mexico and Gyasi Zardes, Omar Gonzalez and Alan Gordon for the United States. Mexico will be missing its captain after Andres Guardado injured his ankle during the UEFA Champions League against Manchester United.